When you have a kid with cheeks like these, it's hard to resist giving him lots of squeezes and kisses during the day! 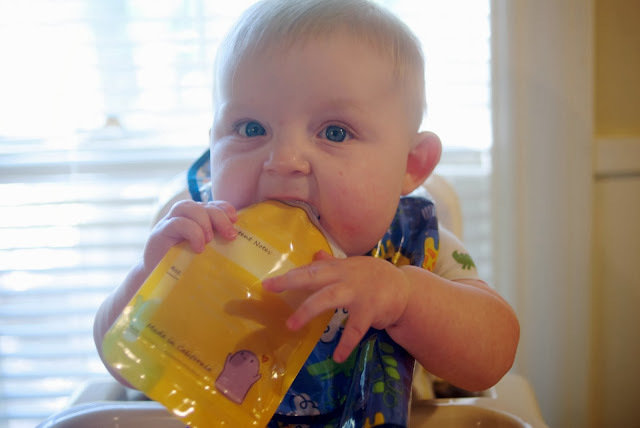 And when you start feeding that kid solid foods (which is a whole other topic! ), you love anything that helps make that process simpler. Because, let me tell you, starting a baby on solids was a bit overwhelming for us--so many choices! But, if you've been reading my blog for any amount of time, you'd know that I love stuff that makes life simple. Any product that is simple, easy, and affordable definitely catches my eye! So, when I saw the ReSqueeze packets, I was definitely interested in trying them. Although I don't think that feeding Luke with food from a pouch is a daily thing, I do think that they are perfect for on the go or as a little snack. So, ReSqueeze is offering a 4-pack of ReSqueeze packets to one of you! 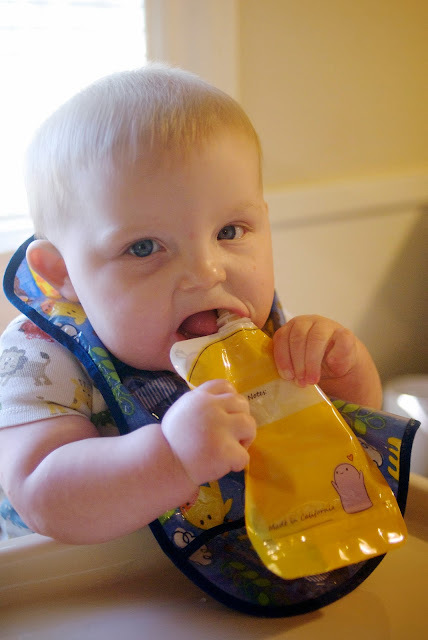 I meant to use pouches only as an "on the go" option, but now Riley can hold them herself and self-feed, so when we use purees, that's usually the route we take. I've never actually used baby food in a jar... ? Is that weird? 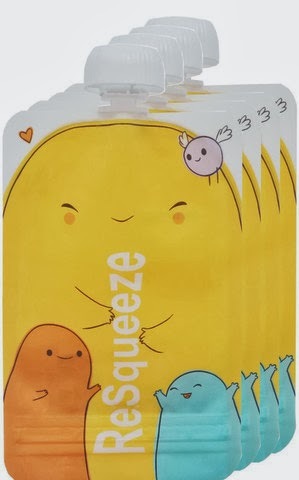 And yes, your bambino is super squeezeable! I've been looking at them but wanted a 'real persons' product review, Thanks Nicole!